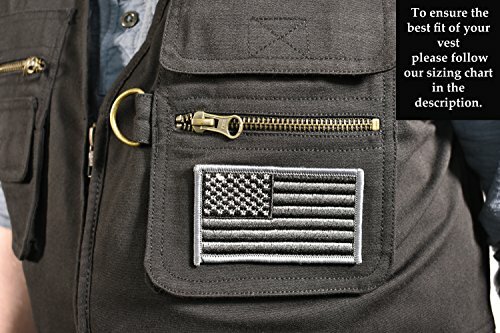 This quality garment won't let you down. 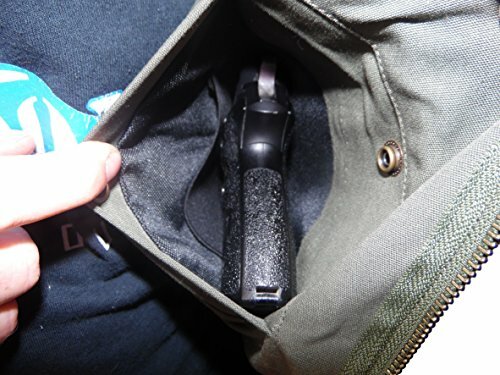 Specially designed gun pockets will accommodate both left and right handed shooters. 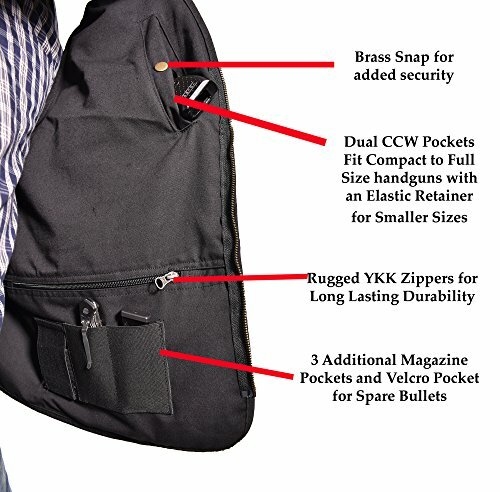 This vest features Extra pockets capable of holding up to 6 extra magazines, 12 additional pockets including a spot to carry extra bullets (for revolvers), The concealed carry pocket is made from tough 1050 Denier Cordura fabric, 2 Inner Gun pockets with built in elastic that holds your smaller weapon securely in the pocket for fast draw. 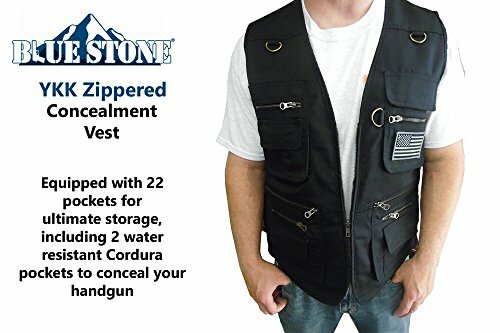 The vest is crafted using Durable material - 80% Polyester, 20% Cotton. 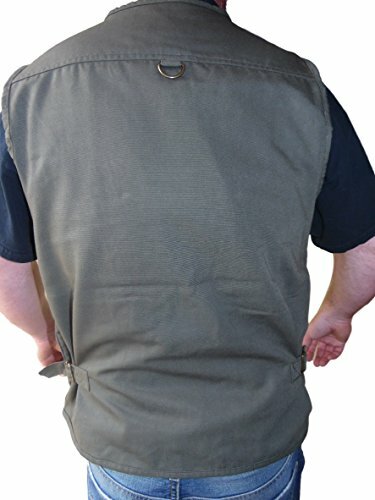 When placing your order, please order one size bigger then you normally wear as the vest sizing runs small. 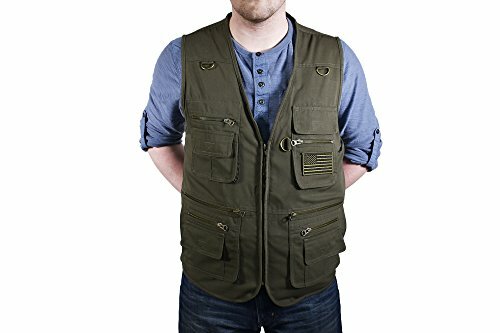 If you are 5ft 5" to 5ft 9" and you weigh between 150-175, we recommend you order a size Medium. 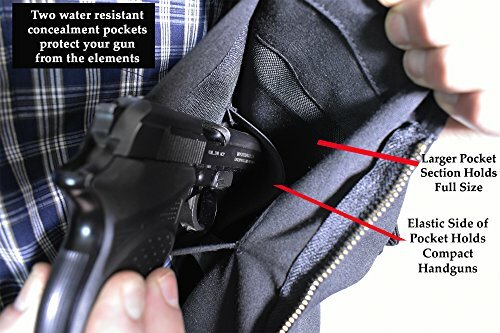 If you are 5ft 10" to 6ft and you weigh between 175-190, we recommend you order a size Large. 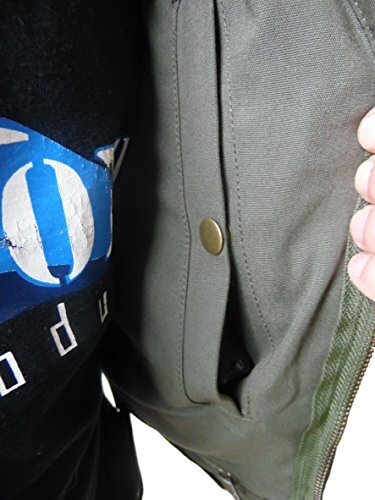 If you are 6ft to 6ft 2" and you weigh between 190-210, we recommend you order a size X-Large. 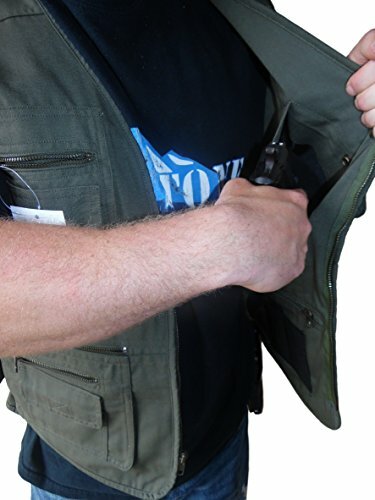 If you are 5ft 10" to 6ft 5" and you weigh between 200-220, we recommend you order a size 2X-Large. If you are 5ft 10" to 6ft 5" and you weigh between 230-245, we recommend you order a size 3X-Large. 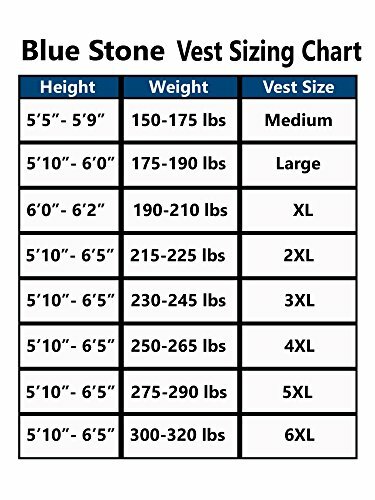 If you are 5ft 10" to 6ft 5" and you weigh between 250-265, we recommend you order a size 4X-Large. If you are 5ft 10" to 6ft 5" and you weigh between 275-290, we recommend you order a size 5X-Large. If you are 5ft 10" to 6ft 5" and you weigh between 300-320, we recommend you order a size 6X-Large. 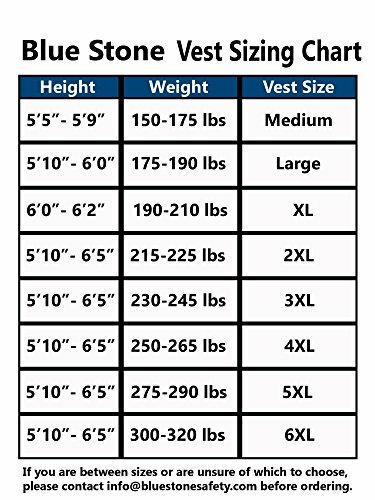 We understand that all people are built differently, these sizes are to give you gereral guideline on how our vest will wear. If you have any questions, please contact us on our website.